Picking up a good college and a top class university is a good decision when you discover that it will become the most vital selection and a fruitful investment for your future. However, with the million of the option available, students may become indecisive about what to choose and how to choose the right one. For those who are looking for a really student-friendly country, Ireland is the best choice indeed. While choosing Ireland, one thing that you won’t think twice is about the quality of education. Apart from the quality of the study, you are going to confront a place where foods are awesome and the people are fabulous. Ireland is a small but competent country amongst all the European Union countries. 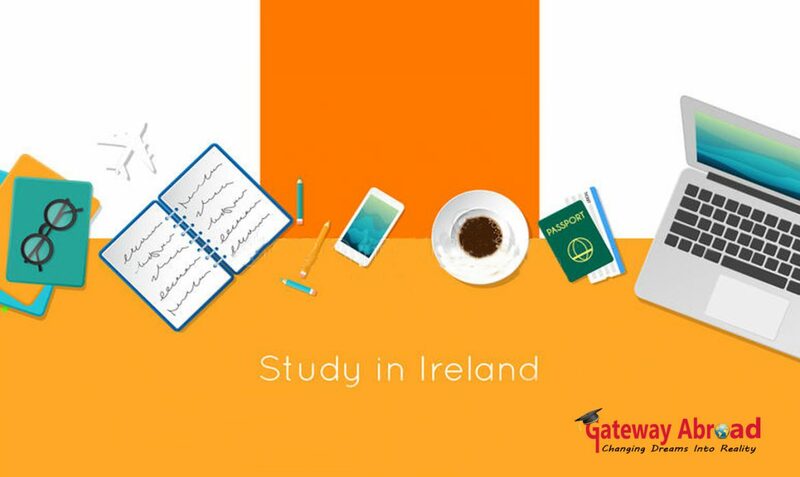 According to the QS university report, Ireland is the most chosen country by the students coming from India, China, Malaysia, Bangladesh, Pakistan, Sri Lanka, Nepal, Afghanistan, Russia and most of the Asian and middle east countries. Also, another reliable report says with the number of Indian student visas for Ireland has been increasing approx 15% university students every year. For the Indian students, Ireland is more a promising than a compromising country because they can find a lot of similarities between the study in Ireland and India. Also, most of the Indian students in Ireland say that the best part of study in Ireland is the classrooms are not monotonous because of the verbal lectures based education. On the other hand, it seems more interesting while the faculties apply the trendy study methods in the classrooms. In Europe, Ireland is many of the students’ first choice for the updated study program. Also, they add that the further job opportunity cannot be ignored in Ireland. It is unbelievable that how the little island country become the heartthrob of the business world. Yes! right, it is. A number of business giants like Facebook, Twitter, Samsung, and Apple choose Ireland as their Europe headquarters. This is a good reason to choose the top rank universities. Ireland has become the home of different pharmaceutical companies. A lot of medical based companies are set up in Ireland. Therefore, a number of Indian or rather Asian students are found in Ireland who are studying technical or medical studies in this country. Another reason to choose Ireland is the IT development. It has been detected that Ireland is the most flourished country in all of the EU member countries in IT. With the headquarters of the major IT farms, Dublin has become the first-choice for those who are eager to study computer science abroad. Most of the universities in Ireland offer scholarships for the native as well as the international students. But, the worst part is, most of the students do not aware of it. A number of scholarships are sponsored by the Ireland government for the Indian students. Lucky are those who come through good overseas education consultants. They let the students know about their deserving scholarships and waivers. So, are you still dwindling at choose Ireland or not? If you have contacted any of the educational consultants they will surely suggest choosing Ireland for your further education. Seeking for a skillful team of academic advisors? Gateway Abroad is one of those dependable consultants that support you from the very first day. because I enjoy learning more and more. Really, your comment makes our day. We are overwhelmed to know that someone waits for our blog and reads them every morning. Thanks for the encouragement. Thank you very much. I am a student who aspires to go abroad for higher education and in the process of making a choice of the country for the same. Also, I am on a lookout for professional abroad education consultants. After reading your post I am close to selecting Ireland as one of the possibilities of choosing a place for study.